G'day. Today I'm sharing a pair of cards I made using Hero Arts new Holiday Houses digikit. This one uses a tree, sentiment and background all of which are from the Holiday Houses kit. I then added loads of pearls and some stitching with silver thread to make it sparkly. 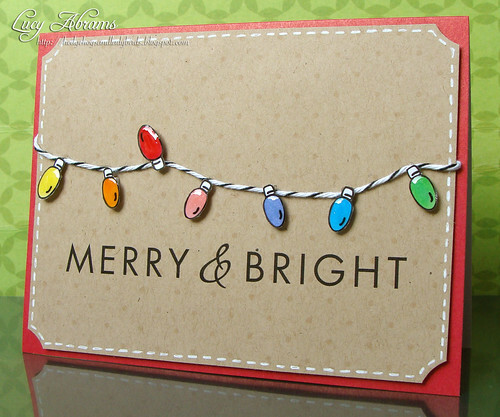 You know I love making rainbow themed things... and why not on a Christmas card?? 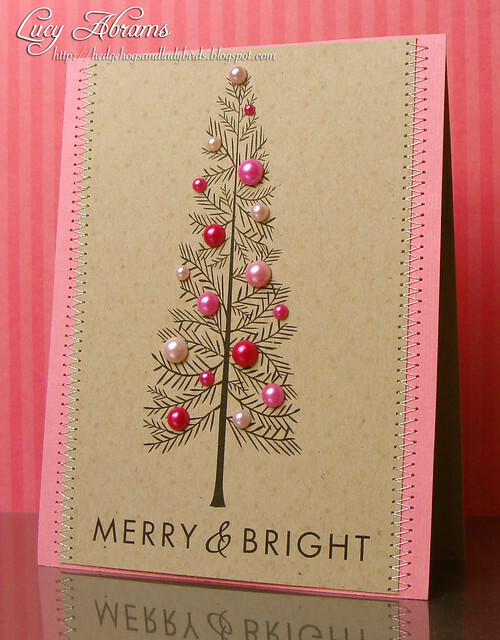 I used a circle punch to nick the corners ofthe kraft card, then added some faux stitching. Oooh! Love these. Your Pink Christmas baubles are lovely, and the lights are merry and bright. Wonderfully decorated tree! Love the card! LOVE it!I have always loved your bling-ed (is there such a word, teacher?) creations! This is no exception! Beautifully done! I love how you have every size of pearls in one color! your tree is really lovely, I love it! Fabulous cards. You have such a great style that I love to see time and time again. Love how you combine physical elements with the digi items. I CASEd your tree... Fabulous!